All The Press Conferences From GamesCom 2014. Posted on August 15, 2014 by Big Red	in Gaming Booty and tagged games news, gamescom, gamescom2014, gaming, gaming news, microsoft gamescom 2014, nintendo games com 2014, sony gamescom 2014. Here’s both Microsoft’s and Sony’s press conferences which were held earlier this week at this year’s GamesCom, the world’s largest interactive games event which is held in Cologne, Germany. Nintendo didn’t have a press conference at GamesCom and much like their decision to avoid an on-site presentation at this year’s E3 they once again opted for a video detailing all the major releases for the Wii U in the near future, (which you can watch below). Regardless which console you’re a fan of it’s clear to see we are entering into an exciting new realm of gaming thanks to the mindblowing technology on display. Is This The Rumoured Feature Which Could Sink The New Xbox? Posted on March 21, 2013 by Big Red	in Gaming Booty, Geeky Booty and tagged games consoles, games news, games radar, gaming news, xbox news, xbox next gen, xbox online. There’s been a lot of chatter on forums and through Twitter recently of a rumoured feature for the next-gen Xbox which could seriously damage it’s competitive edge against Sony and the PS4. Up till now there’s been nothing more than conjecture but the overall feeling was that this feature could be a make-or-break deal for consumers. Now it seems there’s a little more light on the subject thanks to an article over at Games Radar, which contains details that the next Xbox may have to remain online at all times when in use, a claim which has been deemed as ‘entirely legitimate’. This revelation coupled with recent leaks about the new console being unable to play previously owned or rented titles due to activation codes does not bode well for Xbox owners and fans. If you’d like to know more about this story then chart a course for HERE. Cancelled Streets Of Rage Remake Gameplay Footage. Posted on December 5, 2012 by Big Red	in Gaming Booty and tagged gameing, games, games news, gaming news, ruffian games, sega, streets of rage, streets of rage remake. Here’s some gameplay footage of a Streets Of Rage remake which sadly never saw the light of day. 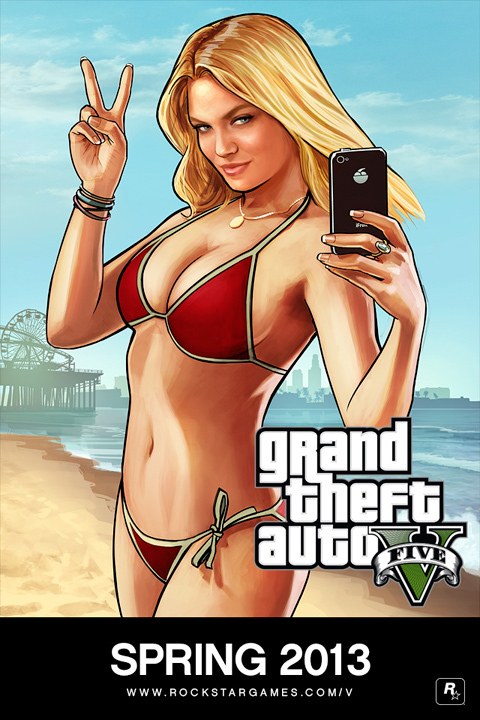 GTA V Will Be Released In Spring 2013. Posted on October 30, 2012 by Big Red	in Gaming Booty and tagged games news, gaming news, grand theft auto v, gta v, gta v release date, rockstar games. There you have it, sounds like they’ve pulled out all the stops and to claim that it will be the largest game-world they’ve created is quite an exciting prospect when you consider the sheer scope of the original San Andreas. Also, are we in for a special treat with GTA V in the form of scuba gear or submersibles with their ‘…to the depths of the ocean‘, line? I sincerely hope so.